Carmel-by-the-Sea, often simply called Carmel, is a city in Monterey County, California, United States, founded in 1902 and incorporated on October 31, 1916. 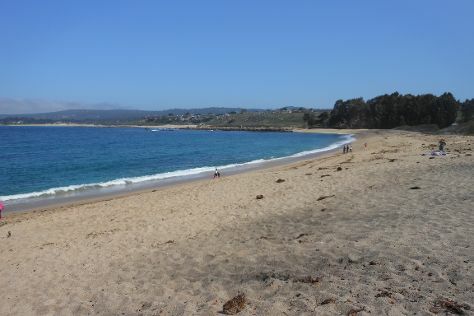 Situated on the Monterey Peninsula, Carmel is known for its natural scenery and rich artistic history. In 1906, the San Francisco Call devoted a full page to the "artists, writers and poets at Carmel-by-the-Sea", and in 1910 it reported that 60 percent of Carmel's houses were built by citizens who were "devoting their lives to work connected to the aesthetic arts." Early City Councils were dominated by artists, and the city has had several mayors who were poets or actors, including Herbert Heron, founder of the Forest Theater, bohemian writer and actor Perry Newberry, and actor-director Clint Eastwood.The city is known for being dog-friendly, with numerous hotels, restaurants and retail establishments admitting guests with dogs. Carmel is also known for several unusual laws, including a prohibition on wearing high-heel shoes without a permit, enacted to prevent lawsuits arising from tripping accidents caused by irregular pavement.Carmel-by-the-Sea is located on the Pacific coast, about 330mi north of Los Angeles and 120mi south of San Francisco. Communities nearby Carmel-by-the-Sea include Carmel Valley and Carmel Highlands.As of the 2010 census, the town had a total population of 3,722, down from 4,081 at the 2000 census. Carmel is in Monterey County. Plan your visit to Carmel and other destinations in United States using our United States road trip planning website .